The most effective way to burn the fat faster is being able to increase your metabolic rate. How do you boost your metabolism to burn the fat at an accelerated rate? 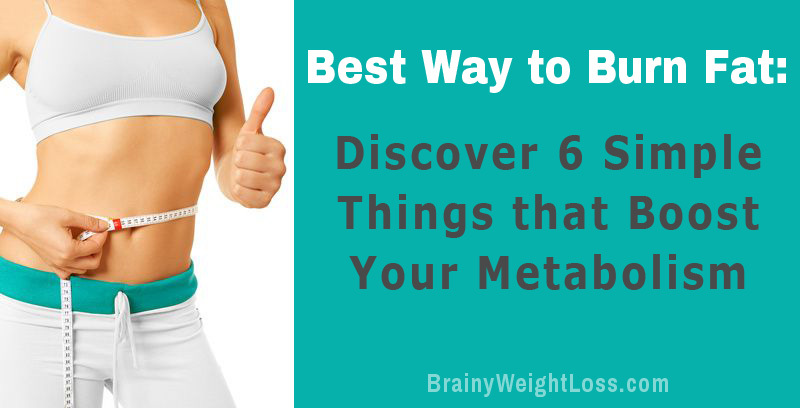 Yes, you CAN adjust your metabolic rate at will by controlling each of these six factors. Let’s discuss them one by one and look at some practical solutions for optimizing each one. This may be a new idea to you, but it’s true: the fastest way to burn body fat through an increased metabolic rate is to create new muscle tissue. That’s because the more lean muscle mass you have, the higher your metabolism, and the more fat your body burns. You can spend as little as 20 minutes 3-4 times/week on a simple calisthenics routine (a.k.a. body-weight exercises). Don’t have 20 minutes? Then you can do 10-12 minutes of high intensity interval training, which is one of the best exercises to burn fat quickly. Both these types of strength training make your body increase its muscle mass to the point where your metabolism increases burning body fat at an accelerated rate. Believe it or not, this way you can burn up to 2 pounds of body fat per week. You might not realize, but WHEN you eat makes a lot of a difference in your fat burning efforts, not only what you eat. Eating to lose weight fast is very important, no doubt. Try it; you’ll see burning body fat at an accelerated rate. But add to this the timing element – i.e., eating 5-6 times per day (3 smaller meals and 2-3 snacks). This is a great strategy for stopping your hunger pangs and eliminating overeating later at night. Eat something every 3 hours or so, alternating small meals (less than 400 calories) with healthy snacks. This will rev-up your metabolism and your body will burn the fat continuously throughout the day. You’ve probably heard this many times by now: regular, moderate physical activity keeps your metabolism higher, right? Even if you don’t follow a structured workout program, simple things like walking your dog, light housework, dancing on your favorite song, climbing stairs instead of taking the elevator – or any other moderate physical activity boosts your metabolism. This, in turn, makes your body burn more fat. And if you’re a woman wanting something really FUN, try the hula hoop workout. Hula hoop is an incredibly sensual core workout, it makes you develop lean muscle mass PLUS helps you eliminate stress big time! You may not realize, but stress is another factor that lowers your metabolic rate – more at the next point below. That’s what medical research has shown: cortisol (the “fight or fly” hormone that gets released when you’re under stress) makes you eat more food more often and store more fat. Why? That’s simply because when the “fight or fly” physiology is predominant, your body holds onto all the energy resources it possibly can. If you are like most people, your stress levels are constantly high… And believe it or not, this makes it almost impossible for you to burn fat. How can you effectively control your cortisol levels? Well, it’s simpler than you think. Try spending 15-20 minutes daily meditating, gardening, practicing yoga, tai chi, or other stress relief activities. Basically, anything that relaxes you is good. Want more examples? Take a look at these 10 fun ways to relieve stress. Why deep breathing? Because without enough oxygen your body is not able to process effectively the food you’re taking in and to provide you with the energy required for your daily activities. In fact, when you don’t have enough oxygen in your system, your metabolism is only one fifth of its normal rate! Oxygen literally switches your metabolism from storing fat to burning fat. So by becoming aware of your typical shallow breathing during the day and breathing deeply instead you rev-up your metabolic rate immediately – even while at your desk, standing in line, in your car or watching TV. Isn’t this the best way to burn fat? 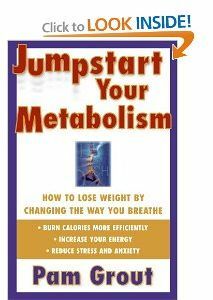 One awesome little book that teaches you how to “take a deep breath and take off the weight” is Pam Grout’s Jumpstart Your Metabolism: How to Lose Weight by Changing the Way You Breathe. Featuring 13 “energy cocktails” exercises with funny names, like… Baywatch Bikini Breath, The Goddess Breath, Mr. Clean or Kapalabhati, this very practical breathing guide shows you how to burn body fat by boosting your metabolism with some quick and simple breathing exercises. Don’t miss Jumpstart Your Metabolism – get it and start burning fat today! 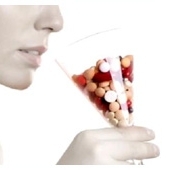 Best Way to Burn Fat #6: Forget the So-called “Magic” Pills! If you want to get better at burning body fat, you have to understand this… Some weight loss supplements help, others hinder your efforts of burning body fat. Have you ever tried those “miracle” products supposed to make you slim in just a few short weeks? Did they work for you as promised? As you’ve surely noticed, there’s an avalanche of products massively advertised for “super-quick weight loss”… You might not realize, but they raise dramatically your cortisol levels, compromising your body’s ability to lose weight and keep it off long-term. Short-term, “miracle” pills force your metabolism into a state of shock, which over time has ravaging effects on your overall health. Even if you lose some weight in the beginning (at the expense of unpleasant side effects), you gain all the weight back and then more.